As the medical science of anti-aging continues to progress and evolve, more and more options exist to help turn back the clock or at least slow it down a bit. At the same time, there is an increased demand for a wider range of treatment options. According to the National Institute on Aging, the recent overall increase in life expectancy is now being hailed as one of modern humanity’s most notable contributions. According to the American Society for Aesthetic Plastic Surgery, the face, the neck, the hands, the arms and the breasts are the places where the body first shows signs of aging. In this post, learn more about four categories of anti-aging treatments that give you a great diversity of options to choose from. Cosmetic surgery is the most invasive form of all anti-aging treatments, but it is also arguably the most permanent solution to address age-related cosmetic issues. It is critical to review the surgeon’s board certification and overall credentials as well as independent patient testimonials to be sure you are entrusting your body to someone skilled and qualified to perform your cosmetic procedure to your satisfaction. Breast lifts, buttocks lifts, upper arm lifts and lower body (stomach, groin, thighs) lifts came in at number one for the most popular cosmetic surgery procedures. Breast augmentation often includes breast implants but can also incorporate symmetry, reshaping or fat transfer. Liposuction can be performed in most any area that contains local fat deposits. The most popular areas include thighs, stomach, hips, back, knees, abdomen, ankles, calves, neck and face. Nose reshaping continues to be one of the most-requested cosmetic surgery procedures. Reasons include removal of humps or bumps, a more symmetrical nose or more overall facial harmony. Eyelid surgery can correct a number of issues, from functional vision impairments due to sagging upper eyelids, continual bags or dark circles under the eyes, and smoothing of fine eye-area wrinkles. The tummy tuck is a part of the popular “mommy makeover” procedure that often includes a breast lift, tummy tuck and liposuction or fat transfer after a woman has completed her family. 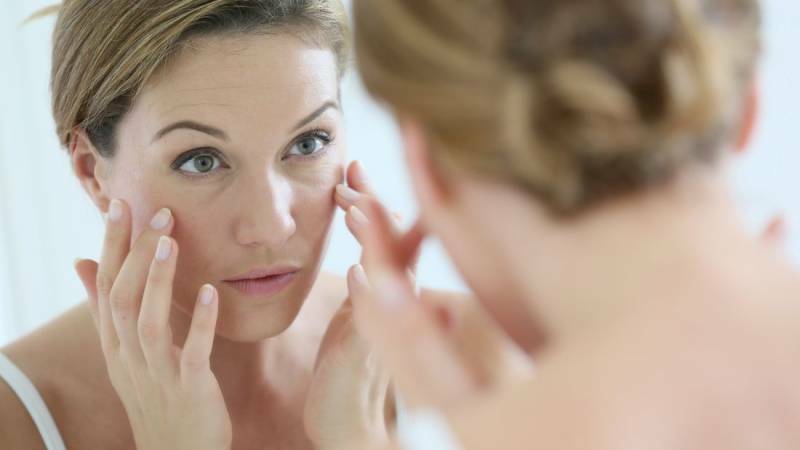 If you are eager to restore a more youthful appearance to your skin but not so keen to have injections or go under the knife, you have the option to use anti-aging home remedies instead. The chief benefit of home remedies is they use all-natural, non-invasive ingredients you likely already have on hand. However, it can be helpful to do a localized patch test first if you are not sure how your skin may react to them. Remedy 1: Honey avocado cream. Combine three TBSP cream with one-quarter avocado and one TBSP honey. Puree by hand or in a blender and then smooth onto your skin. After 60 minutes, wash off with warm water and pat dry. Remedy 2: Basil water spritz toner. Combine one cup boiling water with three TBSP dried and crushed basil leaves. Steep the leaves in the water, then strain out the used leaves. Pour basil water into a spritzer bottle. Spritz evenly onto skin before following your normal nightly cleansing routine. Remedy 3: Lemon rice agave age fighter scrub. Combine one-half cup cooked rice (any kind) with one TBSP fresh squeezed lemon juice and one TBSP agave nectar. Combine all ingredients well and then smooth over your skin on the face and neck using circular gentle “scrubbing” motions. Wash off after 1 to 2 minutes. Simply ingest 1/4 tsp daily of organic Aloe Vera to stop wrinkles happening from within. Studies show that not only does Aloe Vera smooth out current wrinkles, it also helps stop new ones from appearing. You can also apply it topically right before bed to add aid in collagen production over night. Over the counter anti-aging treatments often contain ingredients like retinol, peptides, alpha hydroxy, glycolic acid, hyaluronic acid, collagen, sun protection factor, GABA and other skin-supporting ingredients. The price tag on these products can range from around $20 to well up in to the triple digits. Be sure to read the fine print to see the concentration of active ingredients before deciding how much of your budget to invest in an over the counter anti-aging product. – Skin savers. These all-purpose products are designed to moisturize, firm, protect and plump skin. – Day and night cream duos. These have one topical cream for day use and another for night time use. – Eye creams. These products are designed for use around the sensitive, fine skin of the eyes. – Facial serums. Serums are designed for facial use to tone, smooth, even out and rejuvenate skin. – Peels. Chemical peels usually come as a kit that can be used regularly. – Wrinkle reducers. As their name implies, wrinkle reducers aim to immediately plump and firm skin to reduce or eliminate wrinkles and fine lines. – Lip treatments. Smoothing, plumping and eradicating fine lines around the lips are the goals of these treatments. – Body lotions. All-over body lotions can be used to protect skin from sun damage, hydrate, smooth and repair. Today’s topical skin treatments include both non-invasive and minimally invasive options. Topical treatments can be over the counter or prescription-based. – Botox & Dysport. Both treatments are derived from botulinum toxin type A, which is proven to be effective at smoothing wrinkles and fine lines. The most common application sites include the neck, mouth and forehead. – Dermal fillers. There are several different filler products on the market today (examples include human fat transfer, collagen and hyaluronic acid) that can soften the appearance of wrinkles and fine lines and provide a plumper, fresher and more youthful appearance to the skin. The most popular application sites include the lips and cheeks. – Chemical peel. A chemical peel can rejuvenate sun damaged skin, remove age spots or freckles, even skin tone, smooth skin, reduce scarring and minimize the appearance of wrinkles and fine lines. – Microdermabrasion. Microdermabrasion’s chief benefit is to promote the formation of new collagen, the protein that keeps skin looking youthful for longer. It can also even skin tone, reduce scars, tighten pores, ease stretch marks and wrinkles/lines, exfoliate and tighten skin. Often these minimally invasive procedures are followed up by non-invasive topical maintenance, such as the use of special creams that can enhance and extend results and protect skin from further damage.